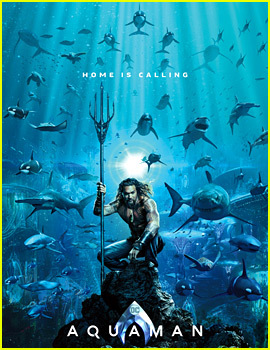 Directed by James Wan, Aquaman reveals the origin story of half-human, half-Atlantean Arthur Curry and takes him on the journey of his lifetime—one that will not only force him to face who he really is, but to discover if he is worthy of who he was born to be…a king. Warner Bros. Pictures has also released a new extended video of footage from the movie. Watch below! Don’t miss Aquaman when it hits theaters on December 21. Will Any 'Justice League' Characters Cameo in 'Aquaman'? Will any members of the Justice League make a cameo in the upcoming Aquaman standalone film? The answer is no! The director of the movie, James Wan, explained the decision to keep away Batman (Ben Affleck), Superman (Henry Cavill), Wonder Woman (Gal Gadot), and others. 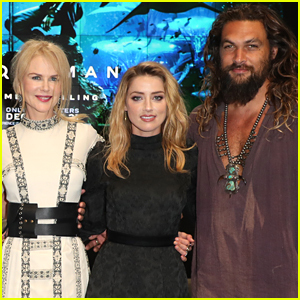 Jason Momoa is joined by his blonde bombshell co-stars Nicole Kidman and Amber Heard as they promoted their movie Aquaman at the 2018 Comic-Con on Saturday afternoon (July 21) at the Hilton Bayfront in San Diego, Calif. 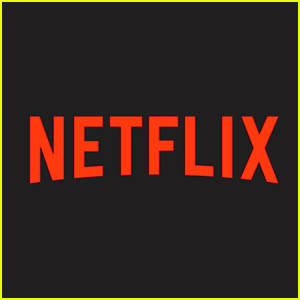 The stars were joined by fellow cast members Patrick Wilson and Yahya Abdul-Mateen II and director James Wan at the event where they debuted the first trailer for their highly anticipated movie – and you can check it out here! After their panel discussion, the cast signed autographs for the crowds of fans. FYI: Nicole is wearing a Dior dress. Amber‘s dress is by Elie Saab. A new trailer for the upcoming superhero movie Aquaman is here! 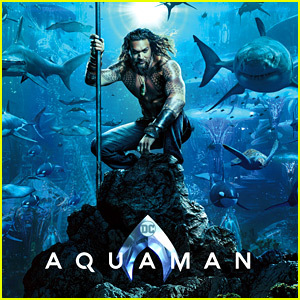 The new look at the film debuted during 2018 Comic-Con with several of the cast members in attendance, including Jason Momoa, Amber Heard, Nicole Kidman, Patrick Wilson, and Yahya Abdul-Mateen II. 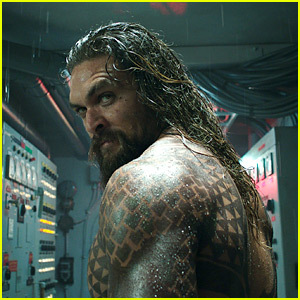 The film reveals the origin story of half-human, half-Atlantean Arthur Curry (Momoa) and takes him on the journey of his lifetime—one that will not only force him to face who he really is, but to discover if he is worthy of who he was born to be…a king. Aquaman will hit theaters on December 21. Check out the new poster for Jason Momoa‘s Aquaman! In addition to the poster debut, we now know that the first trailer for the movie will debut during 2018 Comic-Con this Saturday (July 21)! Be sure to stay tuned to Just Jared as we’ll post the trailer right here. 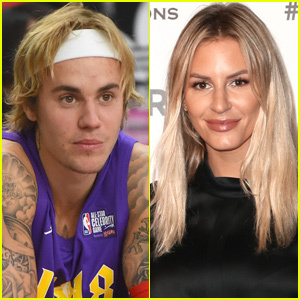 Fans have been clamoring to see the first trailer for the film, which will be released on December 21. We were first introduced to Jason‘s underwater superhero in Justice League. Nicole Kidman as Queen Atlanna in 'Aquaman' - First Look Photo! We have our first official look at Nicole Kidman in character as Queen Atlanna in Aquaman! The image was revealed on one of the Barnes & Noble exclusive covers of Entertainment Weekly. 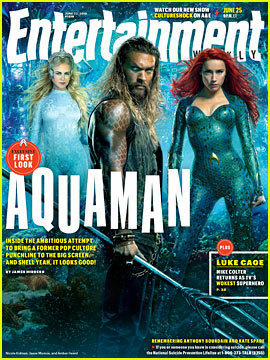 On the cover, Nicole‘s character can be seen alongside Jason Momoa as Aquaman and Amber Heard as Mera. The Aquaman movie is set to hit theaters on December 21. Be sure to check it out! 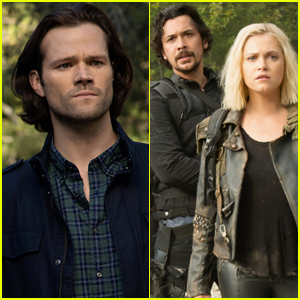 And head over to EW.com to check out more from the cast.